Many thanks to Dr. David Genet for hosting a meeting of prospective volunteers in South Florida in May. AFDVI’s Treasurer, Dr. Don Simkin attended the event which was very well received. There was much enthusiasm in the room and we hope to see those who attended volunteering in the clinic soon. Please read and share the article Encouraging dental volunteers for Israel about the meeting and the DVI clinic on the website of the Sun Sentinel. Although the article stresses the need for volunteers, delivering quality dental care is costly and financial support is equally important to the success of the clinic. 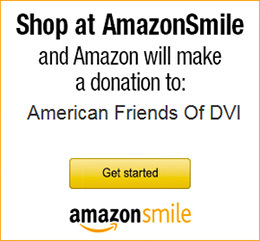 Learn more about volunteering at DVI, or make a donation to help support the clinic today.